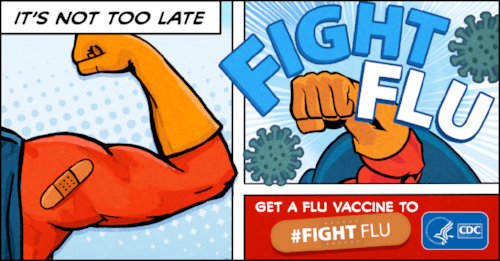 Flu season is officially off and rolling, which means one thing – it’s time to get your flu shot! The flu is a potentially serious disease for individuals of all ages, and could result in hospitalization or even death. The Centers for Disease Control (CDC) recommends an annual flu vaccine for everyone 6 months and older to prevent flu illnesses, doctor visits, hospitalizations and the risk of flu-related deaths in children. It’s important to note that the flu vaccine truly does save lives. Even if you feel you are healthy enough to battle the flu should you contract it, you may come in contact with children, seniors, pregnant women, and individuals with compromised immune systems who are not. Getting the flu vaccine not only protects yourself but your loved ones and the community. The 2017-2018 season was particularly brutal and responsible for the deaths of approximately 80,000 people across the U.S., according to the CDC. Last year in Connecticut, 150 people (including three children) died as a result of the flu. Already this year, we have had one flu-related death and 22 hospitalizations. As of now, the CDC and the State Department of Public Health have noted “sporadic” flu activity for this current season, which signifies only a small amount of cases with no significant increase. Meaning now is the perfect time to get your shot and help to slow the spread of disease. Find out where you can get your flu shot today or schedule an appointment with your doctor.